Android is one of the most used and abused OS in the recent times. More and more people are engaging with the android OS. Since its launch in 2008 OS has been a big hit and a very tough contender to the iOS, it has almost taken over the iOS market in a shot. The reason for android's popularity is because the OS offers a wide range of customization like any other currently available. Android provides an individual to customize his user experience according to the way he wants. Also android being open-source the application ecosystem is huge and there are applications for everything. Android training is not that easy nor is it that difficult. Anyone who is interested in learning android will have to learn a few basics before entering the core of android development. As the popularity of the Android OS increases the companies will invest in more and more applications for the same. The more the requirement for applications, the more is the demand for android app developers. This assures a good future for android development as a career. A lot of people tend to learn android development because of the scope to grow. To fulfill the growing need for android developers, Development companies provide android training. There are a lot of android institutes that provide android app development course in Mumbai, India. We are one of the most recognized mobile application development company and android training institute in Mumbai, India. We have been into mobile application development for the last 12 years and have catered to a lot of clients successfully across the globe. We have a dedicated team of android developers that is very well versed with the process of android app development. Nimap also provides app development training for android to those who are interested in making a good career in it. Our android app development course will help you to build a strong logical sense and foundation of the android OS. A huge number of students enroll for our android app development course and make a good career out of it. The android course is designed in such a way that all the basics to the advanced levels of development are covered. 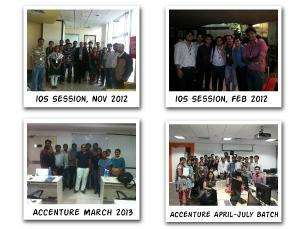 Our students have the opportunity to undergo training in the leading IT-companies are our partners. They gain practical skills and experience, which guarantee successful employment. All our faculties are highly experienced in the field of android development and have provided android training to a lot of students in Mumbai, India and abroad. Every student gets a personal practice computer for better practice. All our computers are updated with windows 8/10 OS for better learning. The course is a combination of lectures and hands-on exercises that provide real-world experience. Android Course or Android Application Development Course is hands-on that provides an in-depth exploration of entire Android Apps life cycle. The objective of android training or android course is to make participant aware about the entire development cycle of the Android apps. Our team has worked on a huge array of applications and are delivering industry standard products to client globally. The team has high proficiency in application development and have always focused on going that extra mile for the clients. Android Application Development Course is hands-on that provides an in-depth exploration of entire Android Apps life cycle. The objective of these courses is to make participant aware about the entire development cycle of the Android apps. The course is a combination of lectures and hands-on exercises that provide real-world experience. The entire Android App Development and internal architecture is based on 4 main pillars they are Layout, Adapters, AsyncTask and Fragment. The course make sure participants are aware of these 4 pillars with hands on practise throughout the course. All software should be integrated in the system. Create apps with sophisticate UI designs. Understand how to make App compatible with multi Android with various resolutions. Understand the architecture for Web services oriented apps and persistent storage oriented apps. Talk about where JSON is used. Finally giving full MVC flow of client server environment.